Favorite Authors, Influencers—Who makes your list? I noticed something the other day, and now that I’ve noticed it, I can’t stop noticing it. There’s a tendency, when asked about our favorite authors, to reach for the big names. The names people will recognize. Is that why we do it? What I mean is, whenever an author is asked something like, “Who do you like to read?” or “Who influences your work?” we go straight to Stephen King or Neil Gaiman or whatever big author applies. I’m as guilty of it as anyone. 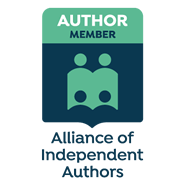 But here’s the thing: as indie authors (or, in my case, hybrid), shouldn’t we at least try to include our fellows on that list? Stephen King doesn’t need any exposure, but if we were to mention someone else—another indie author, for example—mightn’t we perhaps cause readers of the article or interview to be curious and go look them up? Which indie authors do YOU read? Thank you for the kind words—and for asking that very good question. For my own leisture reading, I would go with Jude Knight, Jessica Cale, and (while not independent, not “big” names either) Donna MacMeans and Susan Heino. For starters. And yes, I read Mary Balogh and Grace Burrowes as well.